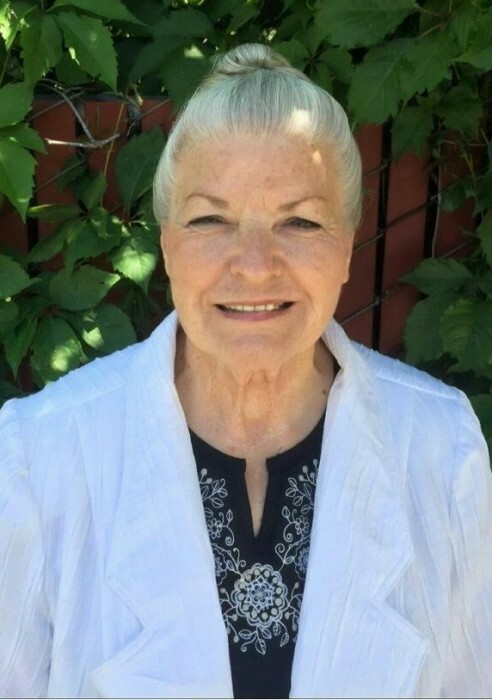 Pauline R. Scott, age 72, of Independence, passed away on April 13, 2019 at a care center in American Fork. She was born February 5, 1947 in Vernal to Clyde Albert and Afton Ilene Johnson Richens. She was the 2nd of 6 children. She married Asa James Scott in Mount Emmons, Utah on July 13, 1965. He died May 17, 2014, after 49 years of marriage. She is survived by her children, Toni (Derek) Davis, American Fork; Stacy (Jodi) Scott, Independence, grandchildren, Torick, Malynne, Richelle and Dotti Davis, all of American Fork; Justin (Ashleigh) Nielson, Vernal; Katelyn (Joe) Beckstead, Vernal; Brandon Nielson, Lapoint, Kenlee Scott, Vernal; two great granddaughters, Joelyn and Jacklyn Beckstead, her siblings, George (Loraine) Richens, Joanne (Gary) Keiser, Jeanette (Harry) Dahlberg, Pearl Richens and Mike Richens. Funeral services will be held on Thursday, April 18, 2019 at 10:00 a.m. at the Ballard Church of Jesus Christ of Latter-day Saints. Viewings will be held on Wednesday evening at the Hullinger Mortuary from 6 - 8 p.m. and Thursday at the church 1 hour prior to the service.